There were smiles and more smiles all day long while we photographed Christine and William. 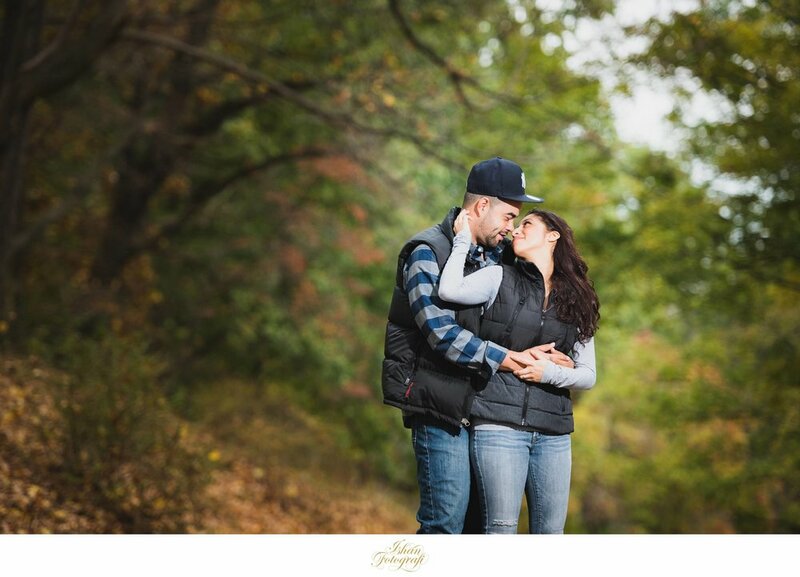 We had so much fun photographing them at the Natirar Park in Peapack, NJ! 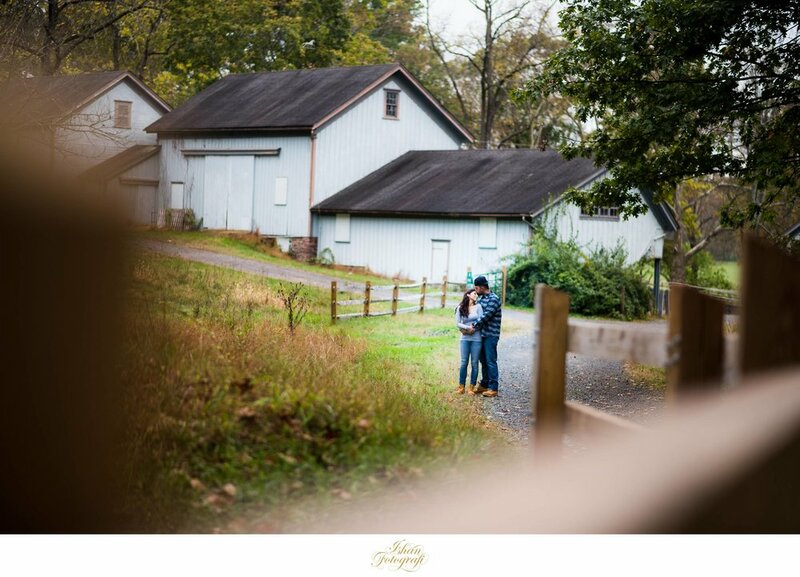 We had a gorgeous Fall day for their engagement shoot and also had the opportunity to venture on some private grounds, thanks to Christine & William's awesome location scouting. Natirar Park is gorgeous, it's vast open grounds & plenty of trails which are perfect for engagement shoots. 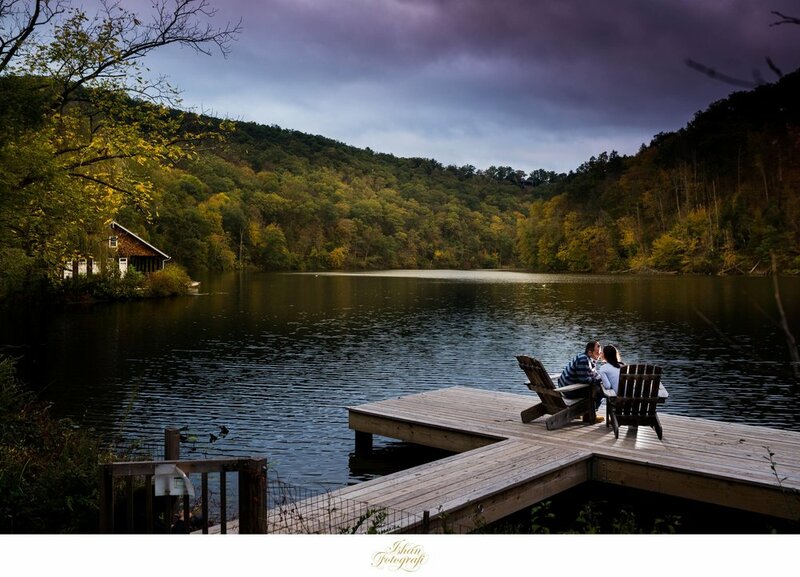 The park is also home of the gorgeous Natirar Luxury Resort which is a great wedding venue in NJ. Christine & William are set to tie the knot on New Year's Eve at the Meadow Wood Manor. Thanks to both of you for venturing with us :). We are super excited to be a part of your wedding celebrations as we close a great wedding season with a bang! Below are some of our favorites photographs from their engagement shoot at the Natirar Park. Follow us on Instagram to check out some of our latest photographs! 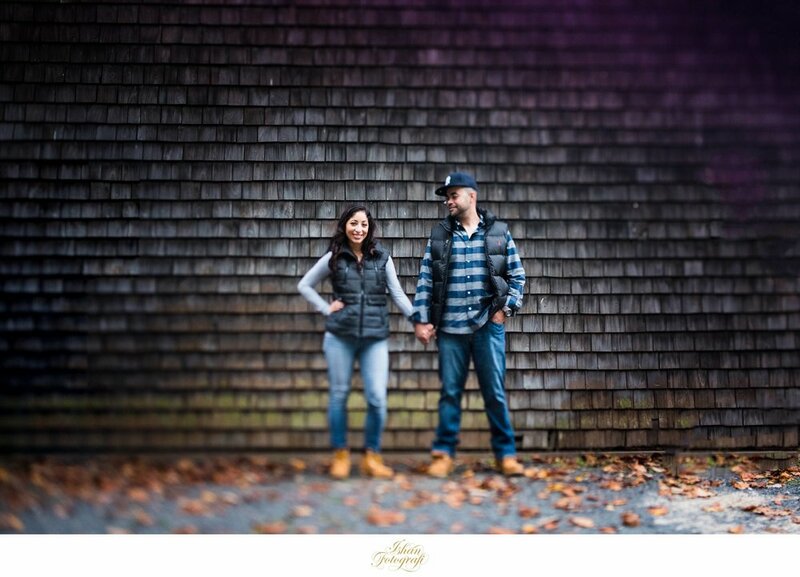 Natirar Park, Peapack-Gladstone NJ engagement shoot by NJ Wedding Photographer Ishan Fotografi.